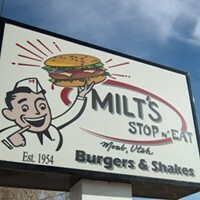 Whenever I'm in Moab, near the top of my things-to-do checklist is to pay a visit to Milt's Stop n' Eat. It's not just one of my favorite Moab eateries, but one of my favorite on the planet. Moab's oldest restaurant - opened in 1954 by Milt Galbraith - Milt's today is said to look pretty much as it did when it was built. The same vinyl-topped stools and Formica counter are all original. The current owners, Danelle (Nellie) Ballengee and BC Laprade, thankfully, are committed to keeping Milt's 60+ year history alive and to maintain the same standards of quality food and service that have made Milt's so enduring. 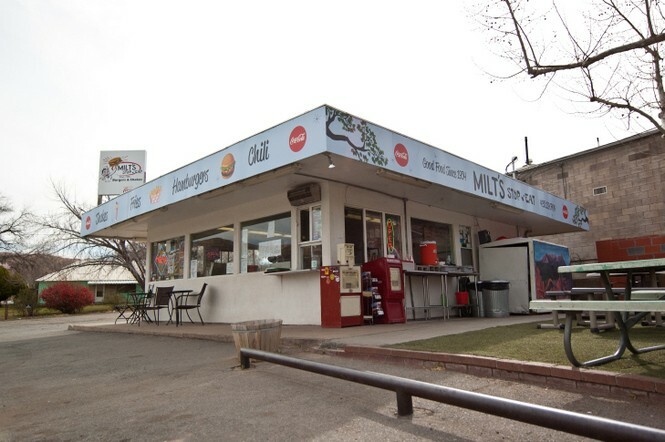 At Milt's, food is prepared fresh to order and the awesome burgers are made from locally-raised, hormone-free, grass-fed beef. 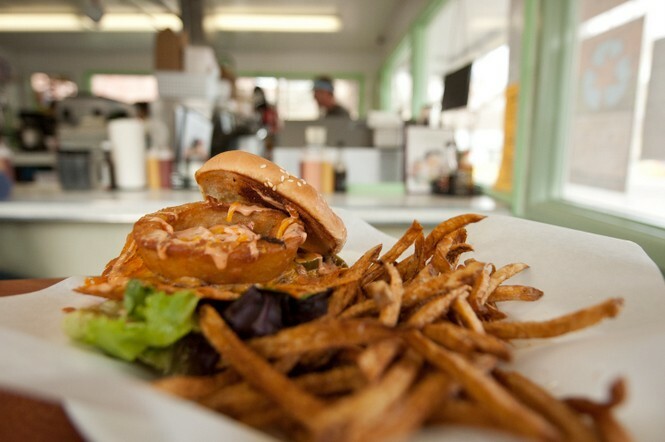 The French fries (also awesome) are cut by hand from Russet potatoes and are fried in peanut oil. 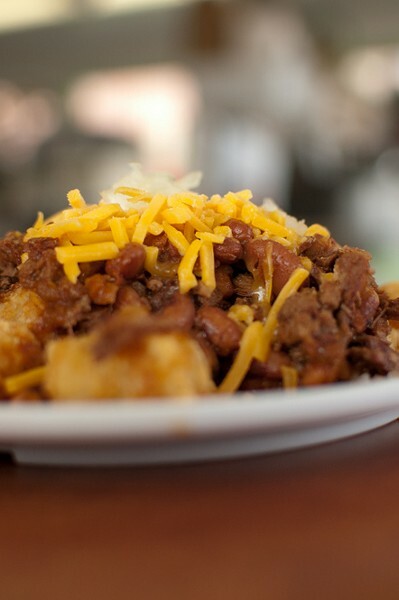 The chili con carne is among the best I've ever tasted and the milk shakes ... oh, those milk shakes! The shakes and malts are made with fresh cow milk from McClish Family Dairy in Moab's Spanish Valley. They're also made with fresh fruit, so expect chunks of real banana, strawberries and such to clog up your straw. These are old-fashioned shakes meant to be eaten with a spoon! 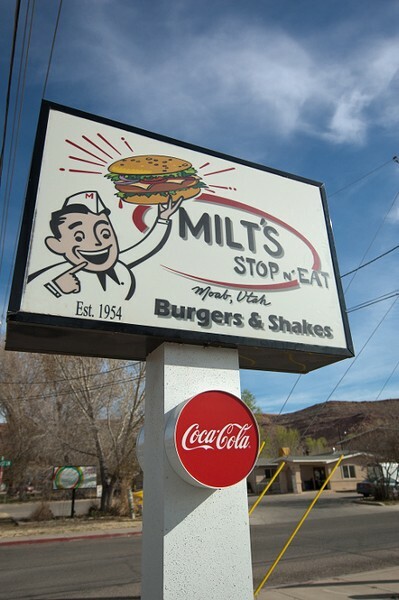 So, the next time you're in Moab appreciating all the iconic natural wonders there, pop in to Milt's Stop n' Eat for a delicious taste of the past.